Born in Newark, New Jersey on October 2, 1941, Jacqueline Autry spent most of her formative years in Ironia, New Jersey. In 1959 she traveled to California to attend the University of California at Berkeley with the intention of majoring in Physical Education and minoring in History. Instead, she went to work for Security First National Bank (later Security Pacific National Bank) as a switchboard operator. At the age of 24 she had worked her way to Assistant Manager of Operations. By 30 she was a Manager and, at 32, she was appointed Vice President. Jackie was only the 13th female Vice President in the system at the time of her appointment. She first met Gene in 1963 when he purchased the Holiday Inn in Palm Springs (later named the Gene Autry Hotel). In fact, on that day Gene had come to the bank to close escrow and Jackie was asked to type something for him. In the ensuing years, their paths crossed periodically for bank business or at desert social functions. 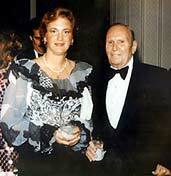 Gene’s first wife, Ina, had passed away early in 1980. In December of that year, Jackie saw Gene at the Eisenhower Medical Center’s annual holiday fundraiser. She went over to him to pay her condolences at the loss of his wife. Shortly afterwards, Gene invited her to a New Year’s party at his hotel. He mentioned she could bring her husband or a date. She came alone. It was the beginning of their courtship. Jackie retired from Security Pacific National Bank on July 17th, 1981. 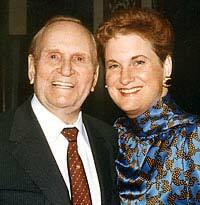 On July 19th, she married Gene Autry and they shared seventeen happy years together before Gene passed away in 1998. Jackie’s interests include a love of sports, especially horseback riding, golf, baseball and football. She loves to work in her garden and when her busy schedule allows she enjoys adventuring to new places. 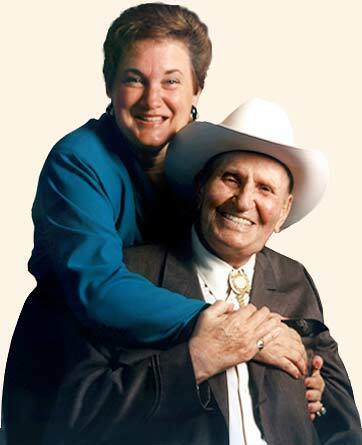 As co-founder of the Gene Autry Western Heritage Museum 1988 along with Gene Autry, Joanne and Monte Hale, Jackie Autry currently serves as Founding Chair and Life Trustee of the Autry Museum of the American West. 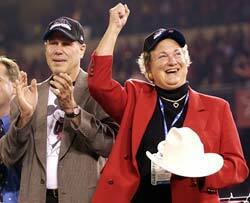 She is also proud to serve as Honorary American League President of Major League Baseball. In addition to these duties, Jackie is also a member of the Board of Trustees and Treasurer of Eisenhower Medical Center and Hospital. She also serves as President of the Gene Autry Music Group, Flying A Pictures, and is the Director and President of The Autry Foundation. Being active in the community is nothing new to Jackie. She’s the former President of the Community Blood Bank of the Desert and former President of the American Red Cross, Palm Springs Chapter. Jackie also served as Director and President of Gene’s organizations Golden West Baseball Company and Golden West Broadcasters. Jackie Autry is the only woman to ever serve on the Major League Baseball Executive Council, Oversight Committee, and as a member of the Board of Directors. Jackie Autry speaking at the Angels' World Series victory. AP Photo-Amy Sancetta.